Where do you envision the government heading? Use your political compass to find out! Left, Right, True North? Political paradise is only a few questions away! These questions are centered around what role you, others, and the government should play in society. 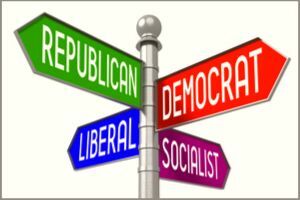 Based on these answers, we'll find out what group of political beliefs suits you best! Politics have been taken over! It's all about 'Us vs. Them'! ! ! Who's 'Us'? But more importantly who are YOU, and what do you believe? Want to find out what branch of political thought suits you best? Take this fun quiz to get to the root of your beliefs!